During this 11-try extravaganza, as at Twickenham the previous week, it looked as if the home side would run up a hugely embarrassing score. added the conversions to all but the third of these. 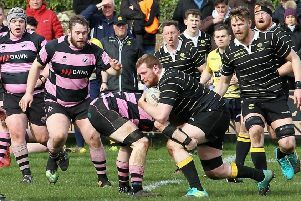 So there we were at 29-0 before Kelso bothered the scoreboard but a try by Matt Kindness, converted by Craig Dods, narrowed the gap, only for McKay to kick a penalty to take the score to 32-7 at the interval. 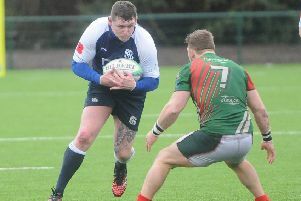 There followed a fight back by Kelso, with Angus Common grabbing a couple of tries, before the Taysiders completed their scoring, with Kieran D’Aeth’s try and Mackay’s fifth conversion. bonus point to Kelso’s league points. the bottom to prevent them playing in National 1 rugby next season. Two home games are still to come, against Jed-Forest and Cartha QP. Rugby, just to make the fixture card a bit more congested. Cammy Brown, Kevin Wilson. Replacements: David Leitch, Kris Mein, Tony Wichary, Gregor Miller, Craig Bruce.